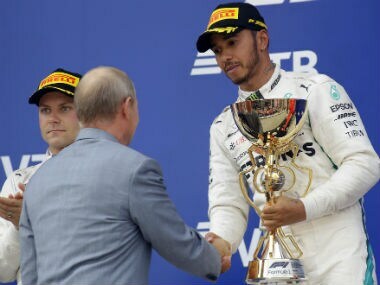 Bottas has been given team orders to assist Hamilton before this year, notably at the Russian Grand Prix where he let him pass and Hamilton won the race. 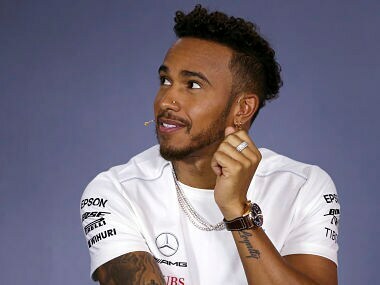 British driver Lewis Hamilton won the Russian Grand Prix after his Mercedes teammate Valtteri Bottas allowed him to pass on team orders, since Hamilton has the best chance of winning the championship. 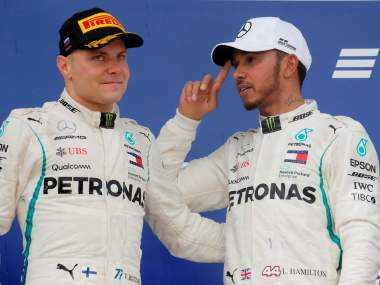 Hamilton was allowed to claim a 70th career win when Valtteri Bottas was ordered to move over in Sochi — with the world champion describing it as the strangest day of his career. 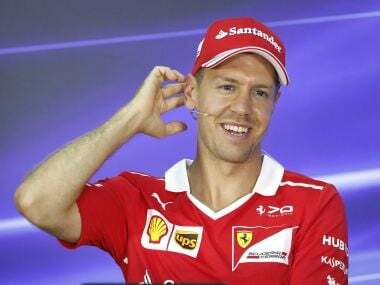 Sebastian Vettel made clear Monday he still believes he can win a fifth world title this year despite sliding 50 points behind Lewis Hamilton after the Russian Grand Prix. 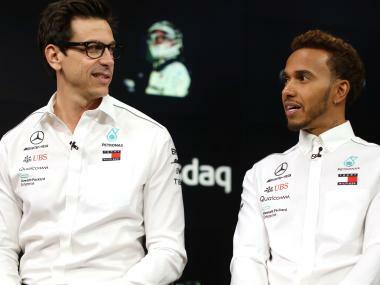 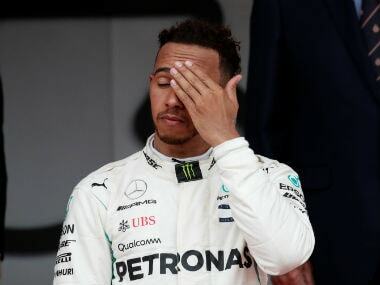 Lewis Hamilton made it clear that he did not ask for any assistance from Mercedes teammate Valtteri Bottas. 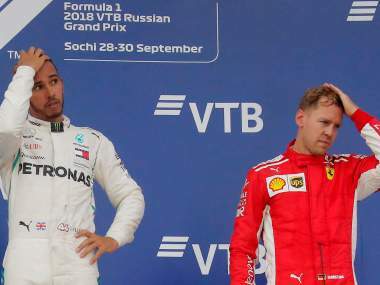 Sebastian Vettel was accused of performing a double-defensive move by Lewis Hamilton as he blocked the Mercedes driver to stop him passing. 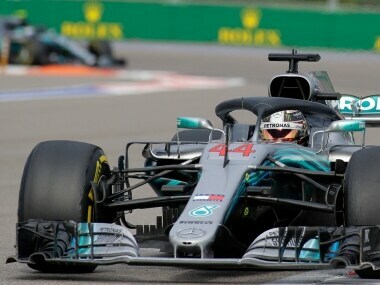 Lewis Hamilton increased his lead in this year's drivers' world championship to 50 points when he claimed an accomplished victory, aided by Mercedes team tactics, in Sunday's Russian Grand Prix. 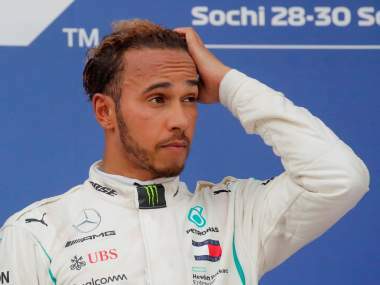 Lewis Hamilton admitted he "over-egged" his final lap in Saturday's qualifying for the Russian Grand Prix as he tried to find the pace to beat Mercedes team-mate Valtteri Bottas. 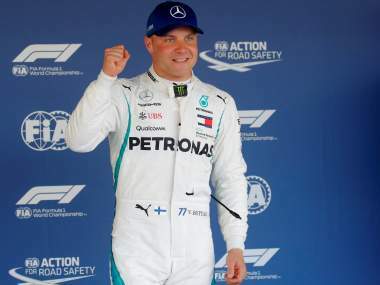 In-form championship leader Lewis Hamilton bounced back to top the times ahead of Mercedes team-mate Valtteri Bottas in Friday's second practice for this weekend's Russian Grand Prix.